The last time I had puppies was about 10 years ago. After many kitties, I always wished I could enjoy the company of a puppy but with so many things to do, I knew I would require the help of my girls. After they agreed they would help me take care of it, we found the perfect puppers. Meet Miss Olivia! 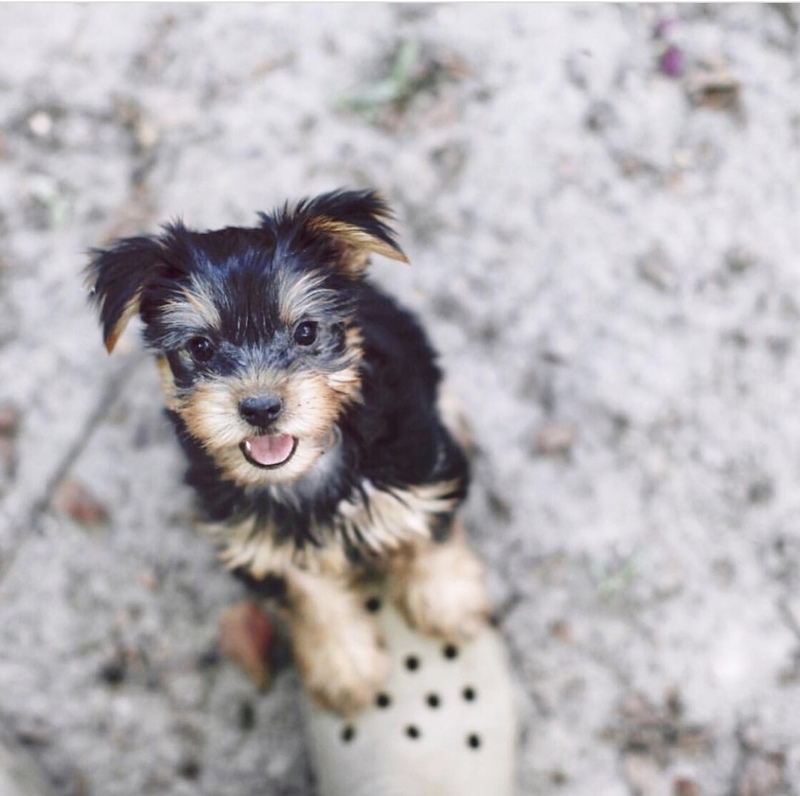 She's as adorable as a yorkie puppy can be. She's very energetic and loves human company, which is the reason I love this breed. Again, after many kitties who eventually mature into completely ignoring me, I actually look forward to a furbaby who actually wants to hang out with me. I've never had such a small puppy before. My last yorkie was 6 months when I got him, so he was way past all the care and needs of a puppy. I've also had a 4 month old Shitzu so I had to do a lot of research regarding this breed as I forgotten all about them. At first they sleep a lot, so potty training is not difficult. 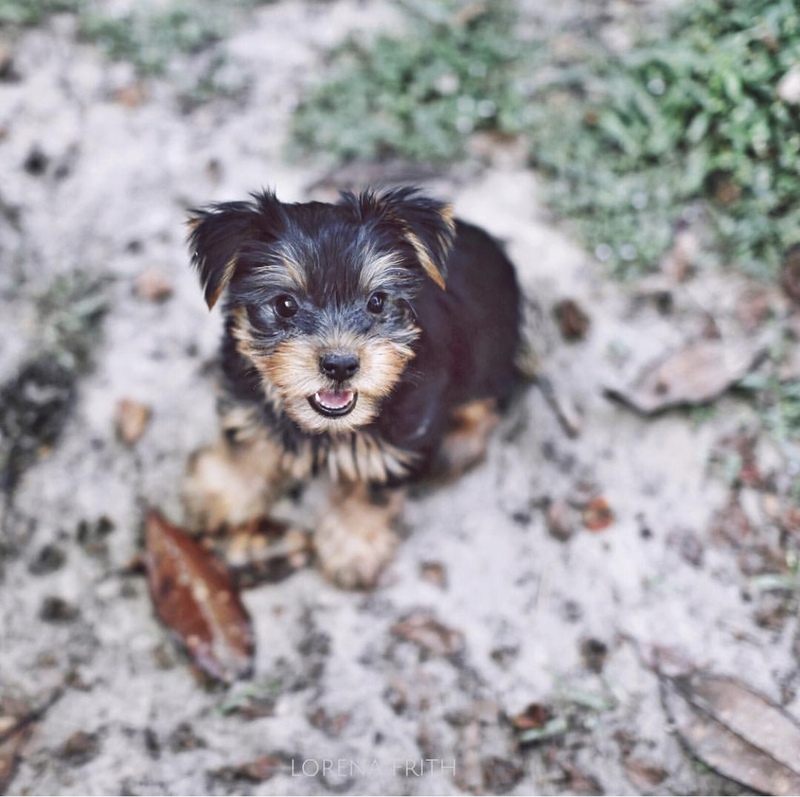 I have read yorkies are difficult to train because of their personality. They can be a bit stubborn but in the beginning they are just adorable. No issues here but we'll see as time goes by. This is one reason I chose a girl instead of a boy because of the spraying issues that come with boy dogs so we'll see how that goes. Pee Pads. I had to quickly learn these are a must. These puppies are so tiny, they can't be left outside, so teaching them to go on these pads while potty training are a must. The sooner they learn to associate going on these pads, the better. A great buy from AmazonBasics. Crate. Almost every video I watched recommended getting a crate ASAP. They provide a way to restrict the puppy from going everywhere and teaches them discipline specially when you are out of the house. Yorkies are known for stubbornness and also have a lot of energy and they run all over the place, so they need to learn where they can and cannot go. This is very important in the beginning. My only issue with crates was their price. They can get pretty expensive so I was so glad when I found them on Amazon for a fraction of the price of other stores and are amazing quality. I actually bought two of these crates! A small one for travel and a medium one for the home. You just can't beat this price. Shampoo. Even though they are little, they get stinky quick. They recommend bathing them every two weeks and I've learned the sooner you teach them to not fear a bath, the better. I bathed mine right away and now she's very used to it and actually enjoys it. Puppy Diapers. Ok, they are not a must but they do come in handy. Food. While this one seems obvious, it's important to buy one that is best for a yorkie. I went to PetSmart and was recommended to use Merrick soft puppy food. Olivia loves it and it's a great start while I transition her into hard puppy food. I will then start adding small morsels of hard food. I then found the Merrick puppy food on Amazon. Patience. This means taking the puppy in and out every morning and putting her in her crate every night. Playing with her and giving her lots of love. This step is absolutely free but can seem like you just brought home a new born baby.